Warrington Security Services, Security Guards Cheshire. 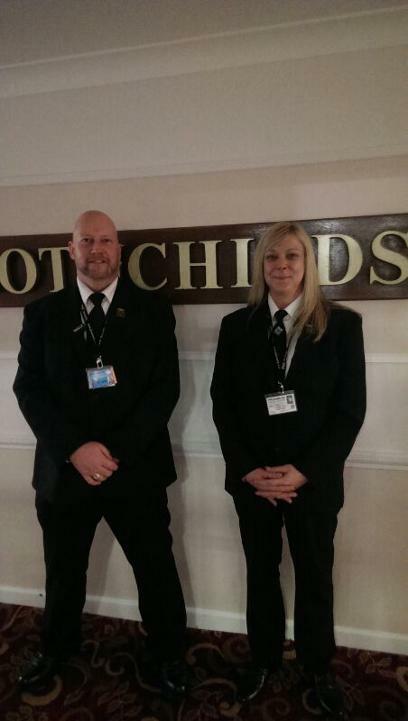 24 Hour Security provide professional security services in the Warrington area tailored to meet your needs. Security Guards are fully insured, vetted, self defence and first aid trained. Staff are hand picked and have a vast amount of security experience at all levels. All of our Security Guards are fully SIA licensed, CRB checked and insured. We vet all of our Security Guards to BS 7858 2012 Vetting and Screening standard to ensure we employ only the most reliable and trustworthy individuals. All of our Security Guards receive extensive training to ensure they meet the high level of standard we expect from them. Spartan Security understand the importance of keeping your premises safe and secure at all times. Our Manned Guarding service is specifically tailored to the needs and requirements of our clients whilst being cost effective. Security officers are often the first person a visitor might encounter when they arrive at your premises. Our officers have the training, professionalism and demeanour to fit seamlessly into our client’s culture. Our strategy focuses on understanding that each and every organisation faces a unique set of security threats and challenges. Everything from our recruitment policies and training programs are geared towards delivering highly skilled officers fit to represent our clients. Our officers remain loyal and work with our clients over long periods of time, becoming part of that vital ingredient embedded within your organisation and protecting your assets through an intuitive understanding of your culture. We provide comprehensive protection for the Public, Premises, People and Assets through an efficient and cost-effective combination of manned security guards, mobile response patrols, keyholding and rapid alarm response. Bespoke security solutions are tailored to satisfy our client's individual and specific security requirements. A fully trained Patrol Mobile Security Officer will visit your premises as and when required. The frequency of patrols will be either random or predetermined based on the particular risk address. The Mobile Security officers will provide an external inspection of the premises but alternatively can also enter the building to carry out a full internal inspection should this be required. We stand by our word and make business decisions that other companies may be unable or unwilling to make. Our business model is built around this so clients notice we do things a bit differently. Warrington security Guards do the job to a very high standard, can look after themselves and keep your staff, clients, and property safe and secure. Spartan 24 Hour Security provide a professional security service which is second to none.